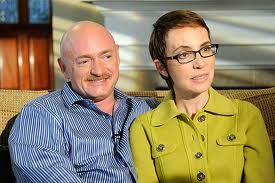 Mark Kelly, husband of former Representative Gabrielle Giffords, speaking on last Friday’s installment of the “Today Show” described the harrowing experience of attending the sentencing hearing of Jared Lee Loughner, the man that killed six people and seriously wounded Giffords in a 2011 shooting spree. Kelly explained the background to his wife’s attendance at the hearing, which was not necessarily an easy decision for them to make. Kelly read a statement during Thursday’s hearing. While Kelly read his wife continued to look straight at Loughner, who has pleaded guilty to charges connected to the murder of six and injuring several other people, including Giffords at a Tucson rally almost two years ago. The twenty-four year old Loughner was sentenced to life in prison and no chance of parole.